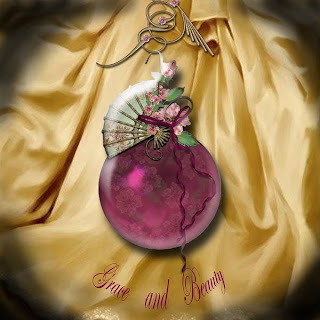 Did you know that ornament means grace & beauty? I didn't. I thought it was a decorative item. LOL Which is it, but I have to say that some of mine are not graceful or beautiful. I saw this one though & knew it fit the description. 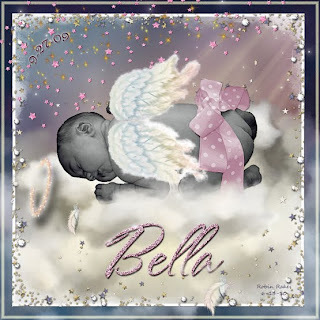 I am not sure if this is cheating- I started this page soon after our first grandchild was born Bella. But it didnt take long to figure out I was in over my head since I was & still am learning digital scrapbooking. I have played with it on & off every since Oct, never being satisfyed. When i saw the word prompt FLY- that was a sign to finish this, as my little grandangel's wings needed repair & then she could fly when she wakes up. Bella is the most precious little girl, & she does make my heart fly! I have only one rule, & it is a new one this year. Have fun no matter what I am doing. If I am not enjoying it, I am not going to do it.